Ever wanted to trace your family history? Starting your family genealogy can begin with a simple worksheet called a pedigree chart. This was something I learned after interviewing Lisa Crawley, the Resource Center Manager at Reginald F. Lewis Museum . 1. Can just anyone walk in here and do their own Genealogy Research at the Resource Center? 2. What is the first step in researching your bloodline ? 3. What records are usually found first or the easiest in the search ? 4.What types of books are in the resource center and can people check the books out as they would in a library ? 5. Do you ever have special events here at the resource center ? This Spring, be inspired to travel to Baltimore, visit the Resource Center at Reginald F. Lewis Museum and start your family tree ! 1. What is your opinion when people refer to you as a “Celebrity Chef”? That is fine. Exposure leads people to call you a celebrity chef. First and foremost though is that I work 130Hrs a week. Last night one of the plumbing sinks went out and I was underneath there soaked in nasty water trying to help fix it. THAT does not sound like a celebrity chef. If it helps bring people in my restaurants then great, but I am just a hardworking guy. 2. What Inspired you to start the website www.kidshealthcafe.com? It’s still in a Beta setting right now. Childhood obesity is from kids eating processed artificial food. They have never been taught how to eat and cook right. Margarine is a good example. It is very close to being plastic. Empty calories. Soda and junk food. The body is not meant to try to process a bunch of hydrogenated oils and other man made chemicals. Growing up in my house we were not allowed to eat bread or pasta that we did not make ourselves. People need to spend the time each day to cook for themselves. People who say they do not have the time to do that need to realize that you will end up short changing your lifespan. Take the time now and you will have much more at the end. 3. Tell me about Fabio Viviani Wines. Have you always wanted to be in the wine business? I do not make wine but I have been in the business of drinking wine all my life. In Italy, kids are given small amounts of wine with dinner. It’s the culture, so when they turn 21 they have no need to go binge drink in Vegas. I am a wine merchant not maker. I discover great wines. I blend them and bottle them under my name. It is sold at a fair price point. A good wine doesnot have to be very expensive. My wines have beat many high prices wines in tastings. It is accessible for everyone. I want people to enjoy a good wine at a good price. 4. Any new ventures in the near future? My partners and I are about to open a steakhouse in Chicago. Although there are a lot of good steakhouses in Chicago we are confident we can hold our own and excel. We are also going to open a Siena Bar. Not a formal restaurant but a fun stylish place for people to go to start their evening. A nice bar lounge where you can still get some good food. 5. What passions do you have besides food and cooking? I really am passionate about gardening and long distance target shooting. I love peace of gardening. I love long distance shooting with a sports rifle. I think it is cool to lay on the ground and shoot at a can of coke at 500 yards. You must stay focused, so I love it. I like fishing and boxing. Unfortunately I travel 300 days a year so I don’t get to indulge those passions much. Oh, I am very passionate about my wife. Make sure you print that! This event took place at The W Hotel in South Miami Beach. Guests were greeted in the lobby and escorted to the residence for an evening of fashion and the opening of Mercedes Benz Swim Week! Champagne, wine and light hors d’ oeuvres were served. 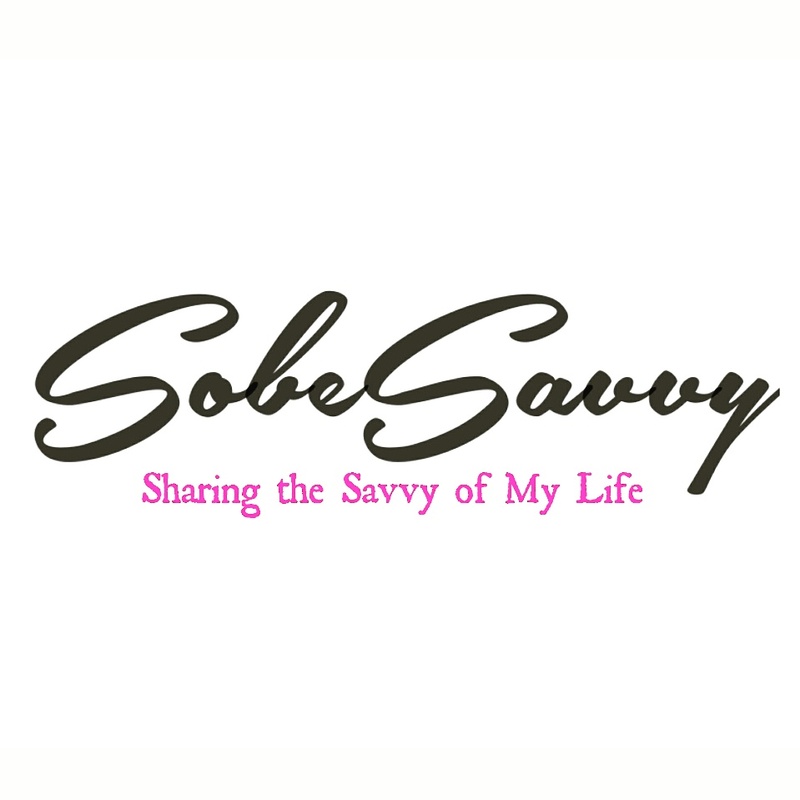 Barry H. of SobeSavvy.com had the opportunity to interview Erin Healy during this intimate event. BH: So Erin, tell me where you get inspiration for your designs ? EH: My inspiration comes from all different places and forms. My last collection which was all black came to me when I was meditating. Sometimes I get inspiration from a particular fabric or sometimes they can come to me in dreams. BH: I see that black is a major theme in some of your designs. Living in Florida how does the color black fit into your designs ? EH: Black is classic and will always be in style. BH: Which designs do you prefer formal or casual wear ? EH: In the past I have always done very cocktail or formal wear but some of my pieces you could dress down but ultimately I am geared more towards red carpet design fashion. BH: What is the typical Erin Healy customer? EH : My woman is between ages of 28-55. A body conscious woman who is interested in unique limited edition pieces that you will not see everywhere. I am not in dept stores. I focus on specialty small clothing boutiques. BH: Often newer designers fail because they attempt to expand too far and too fast. What is your end game as far as geographic expansion ? EH:I am focused on the south. There are certain regions where I beleive my clothes sell better. You have to be smart about it. This is a business. At the moment the Southeast and some of California is my main region. SobeSavvy had the pleasure of attending a cocktail and networking event at Hublot’s Bal Harbour Boutique. We had the opportunity to meet and interview famed artist Hebru Brantley on Fri Dec 6, 2013 . Hublot partnered with Brantley and the Mourning Family Foundation for Art Week Miami. There were art pieces on display and he donated an original piece to Tracy and Alonzo Mourning to benefit Mourning Family Foundation. Mr. Brantley’s art can only be described in one word. Different.The famed Chicago-based artist transformed the luxury Swiss watch boutique into his own palette of imagination. His website www.http://hebrubrantley.com describes it as..”a creative process akin to free-form journaling, using a variety of surfaces and media including wood, spray paint, coffee and tea. His work delves into political and social issues with a conscious focus on playful insight and the optimism and possibilities of youth”. I found his work colorful, playful and striking. What convinced you to partner with Hublot Watches ? Do you ever fear that commercialization will ever overshadow your actual art? Have you ever considered doing an animated series or short films ? Enjoy the pics from the event and I want to say a special thank you to Mr Brantley who took time out of a very busy day for the interview. The high five is a celebratory hand gesture that occurs after a triumph. The HEIGH Five is a series where we ask celebrities and personalities five questions and celebrate their achievements! 1. Tracy, I’m curious. Why did you choose the theme ” HATS OFF” for your annual luncheon ? Why not Blue Dress or White Shoes ? Growing up partly in Miami I went to various socials and church events where all of the ladies present wore fabulous and interesting types of hats. I find that women love to get all dressed up in their hats and give air kisses under the big brims and just have a lot of fun with it. It was a hit from the beginning and women look forward to it every year. 2. A lot of public figures throw around the term ” give back” when referring to their charity or philanthropic events, but in all actuality they only attach their names to these events and are not involved. I have lived in Miami now for 17 years and have witnessed how you and also Alonzo are actually full hands on when planning and executing every facet of your now legendary community benefit organizations.It is not just your name stamped on an invite… where does that dedication come from that it’s more than just your name attached to it ? All the events we plan or sponsor are very personal to us. Alonzo and I don’t do what we do because we have to do it. We feel that the work that we do is part of God’s plan for us. We believe we are supposed to serve others. We are humbled and blessed that the opportunities have come to us and through us, but we don’t do it just by ourselves. We are lucky to have a great support team of folks who support what we do. Alonzo and myself are doing what we think we have been called upon to do. 3. Some folks have expressed to me that they are now suffering from “Charity fatigue”. There are so many charities and organizations out there all vying for that same dollar. How have you been able to not only succeed at overcoming that “charity fatigue ” obstacle, but excelling as your Hats Off event usually sells out every year ? It is because of the relationships I have formed over the years. Relationships make all the difference in the world with people supporting our events every year. Even if people did not support my event, I would like them to support any event, charity or philanthropic venture that speaks to them as a person. 4. How did Camp Honey Shine come about ? Growing up I noticed how numerous girls in the neighborhood would just be walking around with no purpose and nowhere to go. Summer camp was a big part of my life growing up. I wanted to give other girls the same types of opportunities to form life long relationships and experiences that enrich a life. It is open to all girls. I don’t like to use the term at risk girls. These girls may be in a at risk situation or born into an at risk environment but Camp Honey Shine tries to give them the tools and resources so that they can see there are choices out there so they are no longer at risk. 5. I have a personal question to wrap up my interview with you this afternoon. How do you define the difference between a friend and an acquaintance? Time reveals who a true friend is. My mother always told me that if you pay attention, people will show you who they are. I used to think that everyone I met had my best interest at heart. I had to learn the hard way that is not always the case. The good part is some relationships that start off as a kinship, sometimes turn into a real friendship and that is a great thing.